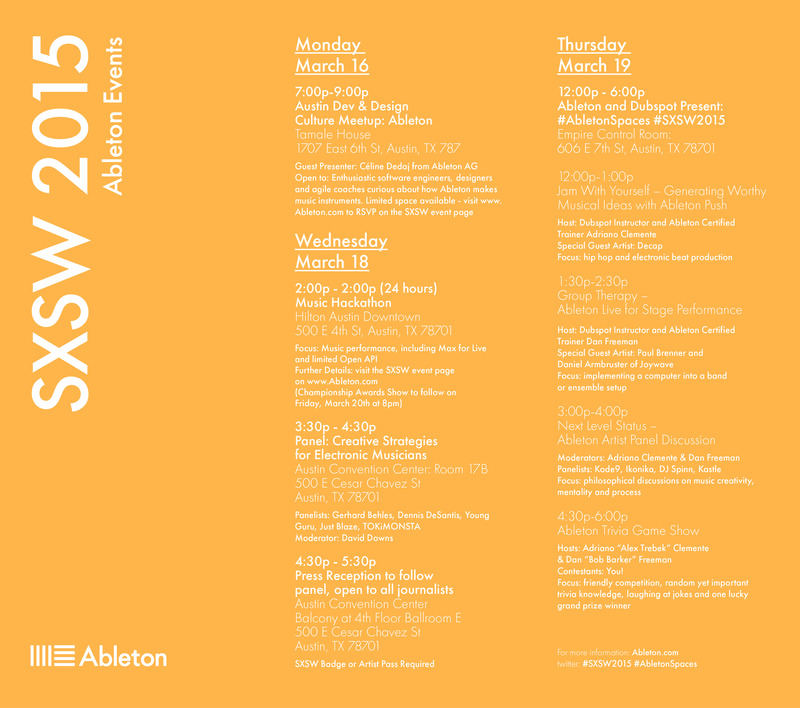 From March 16-20, Ableton will be in Austin, Texas at the South By Southwest Music festival. Of special note this year will be a panel with Just Blaze, Young Guru, and TOKiMONSTA discussing creative strategies for electronic musicians with Ableton co-founder Gerhard Behles and our head of documentation, Dennis DeSantis. The panel will be moderated by acclaimed art and technology journalist David Downs. 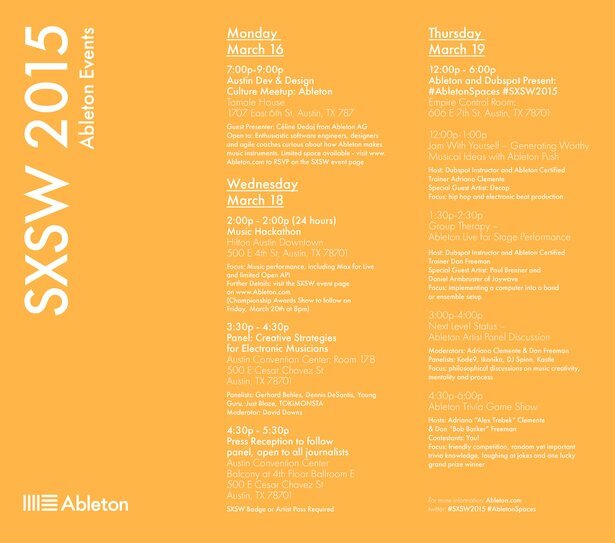 Together with our friends from Dubspot, we’ll also be hosting a day of workshops and panels at the Ableton Spaces. Live and Push specialists and Certified Trainers will be on hand, and panel participants include Kode9, Ikonika, DJ Spinn, and Kastle. Come by if you're in town, there'll be free refreshments, Push units to try out, plus an Ableton Trivia Game Show to take part in (sign up here for a chance to participate). 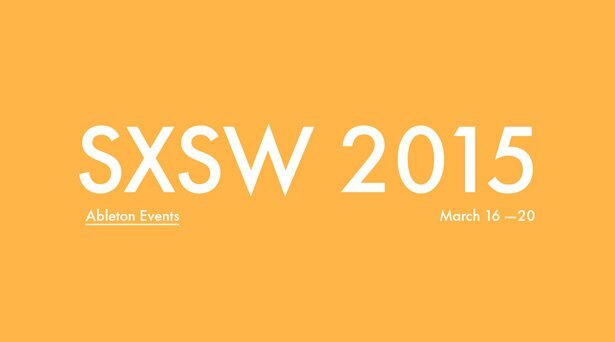 In addition, we’re looking forward to meeting software engineers, designers and agile coaches who are curious about how Ableton makes music instruments at our Developer & Designer Meetup and at the SXSW Music Hackathon. See flyer below for full details, times and locations.